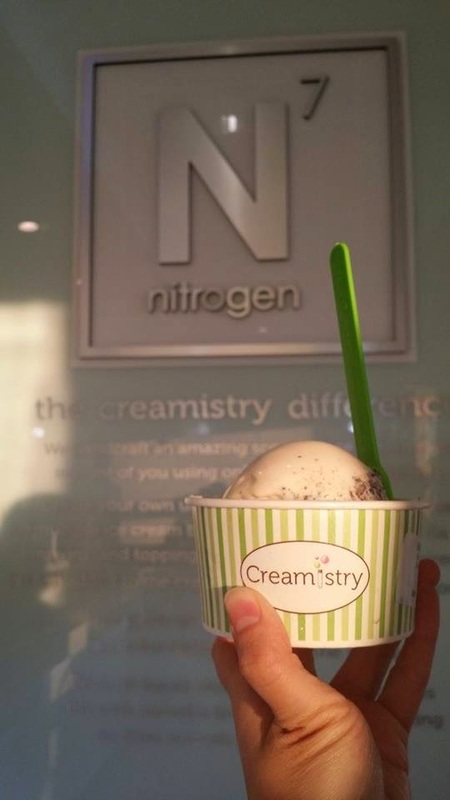 I LOVE FREE CREAMISTRY! GET IT FOR FREE THIS WEEKEND - IRVINE - EAT WITH HOP! 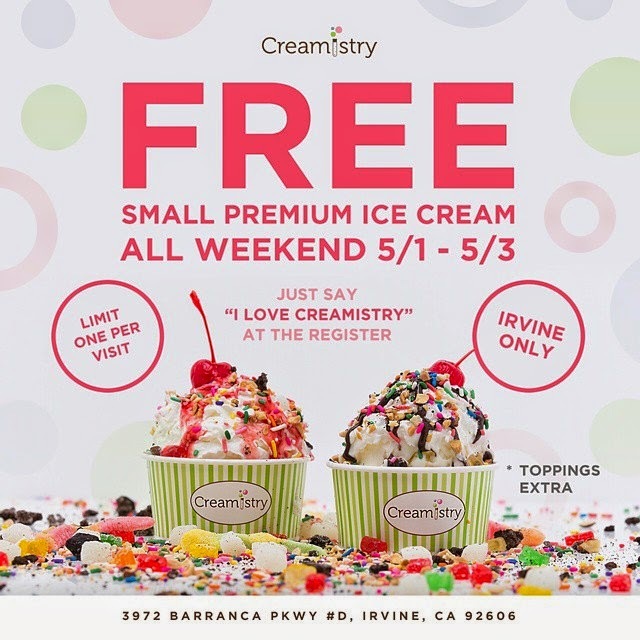 GET YOUR FREE ICE CREAM AT CREAMISTRY THIS WEEKEND! 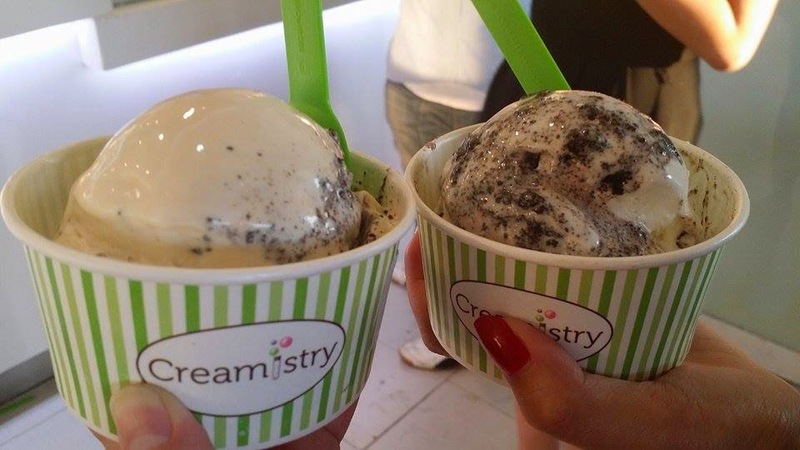 ALL Y'ALL GOTTA DO IS SAY THE MAGIC WORDS, "I LOVE CREAMISTRY" TO GET IT FOR FREEEEEEEEE! BUT IT'S ALL COOL BECAUSE IT'S NOT GONNA BE A LIE ANYWAYS RIGHT? THIS IS SERIOUSLY MY FAVE ICE CREAM PLACE ANYWAYS. I GO HERE WAY TOO OFTEN...BUT IT'S ALL WORTH IT! IF Y'ALL DON'T WANNA SAY THAT PHRASE THEN JUST CHECK-IN ON YELP TO GET IT FOR FREE! 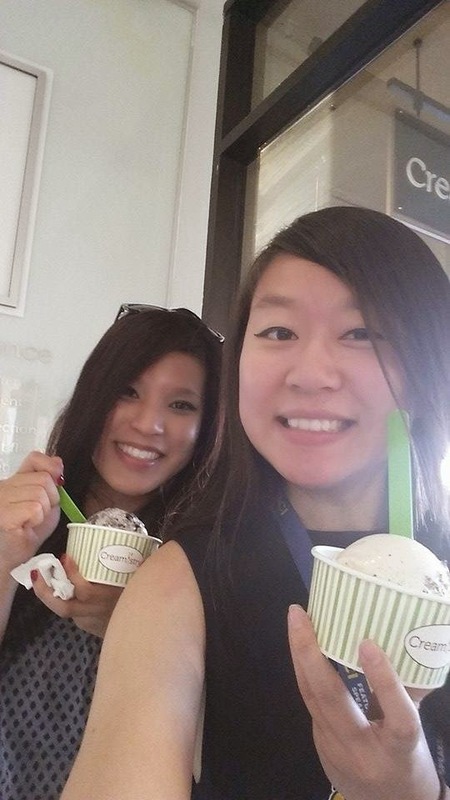 ONLY 1 FREE SMALL ICE CREAM PER PERSON PER VISIT. IN HONOR OF ALL THE HARDWORKING MOTHERS, IT'S BOGO FREE FOR CUSTOMERS WHO BRING THEIR MAMA! 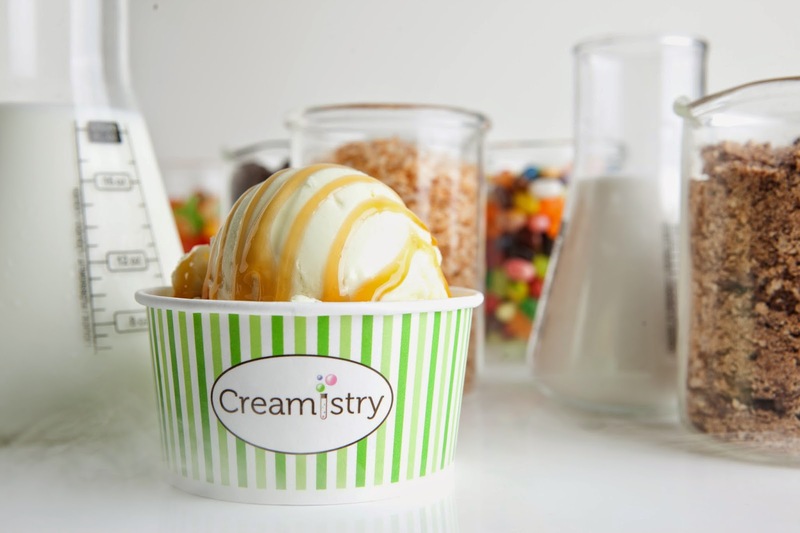 SO BRING YOUR MAMA TO ANY CREAMISTRY LOCATION ON SUNDAY MAY 10! ***I went with Christina yesterday and of course... there was a line. I didn't know so many people knew about it! But anyways, honestly the line wasn't that bad. 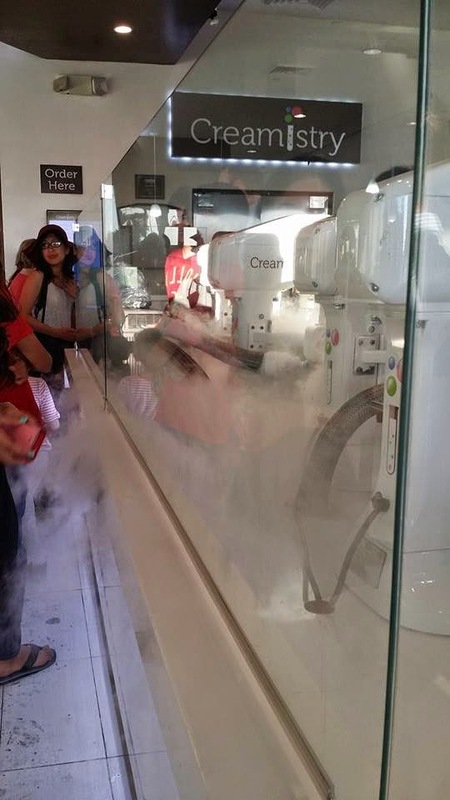 It was probably a 10-15 minute wait and there were many creamologists working hard to get your order in a timely manner. I was very impressed! 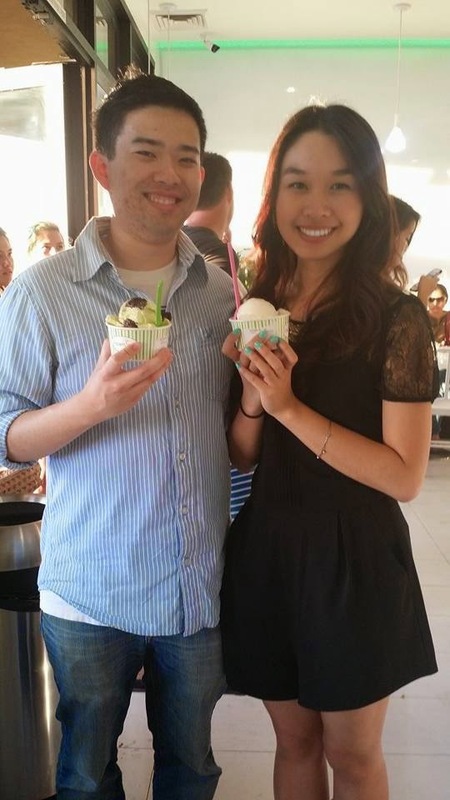 Also ran into Anderson and his gf Linh... because... Creamistry is just basically the cool spot to run into old friends. The Reeses Peanut Butter with Oreos mixed in was bomb but I think I still prefer my usual order which is Captain Crunch Ice Cream with Oreos mixed in. That definitely can't go wrong. I got so many people addicted to that flavor too! And it's awesome because since this is all made fresh, the toppings ain't sogggggggy at all.